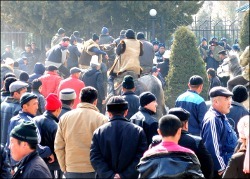 It is impossible to say whether Kyrgyzstan is to face another, third this time, coup d’état this spring. There are “revolution prerequisites” along with indications that nothing will happen. Events taking place in Kyrgyzstan today are almost mirroring the events that precipitated the two “revolutions” three and eight years ago, respectively. Like then, everything starts with spring. And the explanation behind the choice of time is quite straightforward: It is much easier to rally on warm days as opposed to cold and rainy/snowy days or under the hot sun. The latter factors knock-off one’s desire to demand anything, let alone a lengthy process of regime change. This spring is no exception with an accelerating activation of opposition forces under the Ata-Zhurt Party flag. Its leader, MP Kamchibek Tashiyev, and several like-minded fellow party members are awaiting a court ruling on: MP Tashiyev and his colleagues are charged with attempts to forcefully seize power. His supporters launched protests demanding his release in Jalalabad. The choice of locale is no coincidence: his native village is located close to Jalalabad. And, of course, the majority of those rallying are either his relatives or fellow villagers. But the picketers did not limit themselves to rallies this time around and moved onto more decisive actions. Last week, a group of aggressive women stormed an assembly hall inside the regional administration building and forced a coordination council to stop its session. The women demanded the three arrested Ata-Zhurt MPs, including their fellow countryman, are released. On Monday, a group of horseback riders unsuccessfully attempted a-la cavalry breakthrough on the gates of said building. The head of the regional state administration, Mr. Zhusubali Toromamatov, managed to calm the crowd down. The rallies in Jalalabad and Karakol might seem limited to these two locales because of the small number of participants. However, the nationwide kurultai [assembly] the opposition is planning to hold on 13 March might as well become the next phase of a “spring assault” on powers that be. Mr. Mukar Cholponbayev, a member of the Salvation of Kyrgyzstan movement, promised late February that the number of kurultai participants would exceed 5,000 people. “We are asking to peacefully transfer power to the people. We do not plan to forcefully seize it. We are not going to allow mass disorders to happen. We have sent our demands to the president, the prime minister and the parliament,” the oppositionist said. However, he did not specify the actions they would undertake, should the incumbent authorities fail to heed. Although such gatherings did not grow into mass disorders in the past, they certainly were catalysts. The authorities, the opposition and the overall population of Kyrgyzstan clearly realize that the country might not be able to survive a third “revolution.” However, unfortunately, even such a probability does not prevent those willing to briefly take the ruling reigns from shaking the statehood foundations. Another “red flag” indicating fast approaching cardinal changes is the parliamentary opposition’s increasing criticism of the authorities. 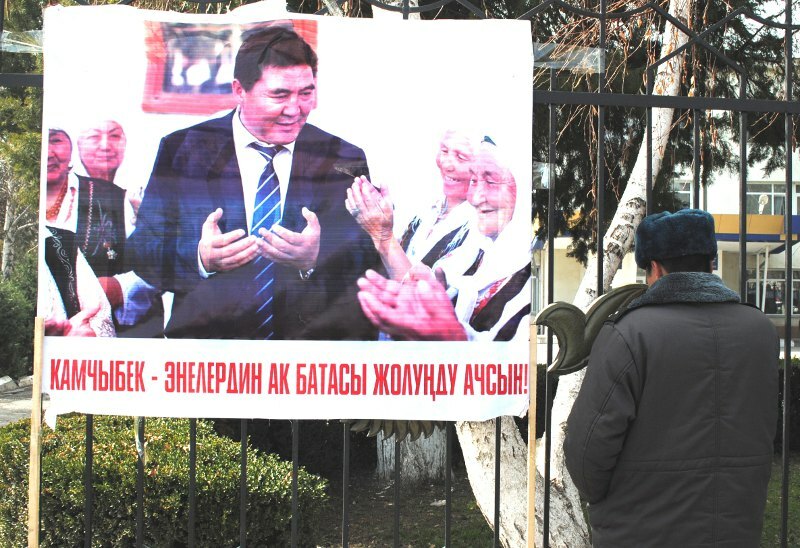 While the opposition’s criticism is a normal phenomenon, the Kyrgyz version is somewhat strange. It was, of course, understandable that they used the population’s discontentedness with electricity blackouts and gas cutoffs in winter. But this time the opposition chose a completely different weapon for some reason. The opposition’s “non-standard” actions could be explained, actually: The parliament will soon ratify several contracts worth billions of dollars to be inked with Russia on the construction of hydropower stations in Kyrgyzstan. But this would not benefit some of external players. The Kumtor goldmine, currently developed by a Canadian company, could serve as an example of “unskilled management of state resources,” which would by extension jeopardize the perspectives of cooperation with Moscow. It is noteworthy that the women, who stormed the regional administration in Jalalabad last week, demanded not only the MPs’ release, but also demanded to nationalize the Kumtor gold field. The opposition is most probably being used not to replace the incumbent authorities. They have been tasked to force the president and his supporters to shun the Russian component in foreign policy. Should this task fail to succeed, violence remains as an option on the table. It is noteworthy that the violent change of power in 2005 was preceded by the arrest of Azimbek Beknazarov, a “revolution bulldozer,” who was known in the country for his criticism of a Kyrgyz-Chinese agreement on handing a piece of Kyrgyz land to Beijing. The Kumtor goldmine and MP Tashiyev could serve as a similar catalyst eight years later.